I travel frequently, and so, I lay my head in quite a few hotel rooms. Many of those rooms have mini refrigerators. Some even have full-size refrigerators. But lots of the rooms don’t have any refrigerators, only small buckets and ice-making machines in the hallways. 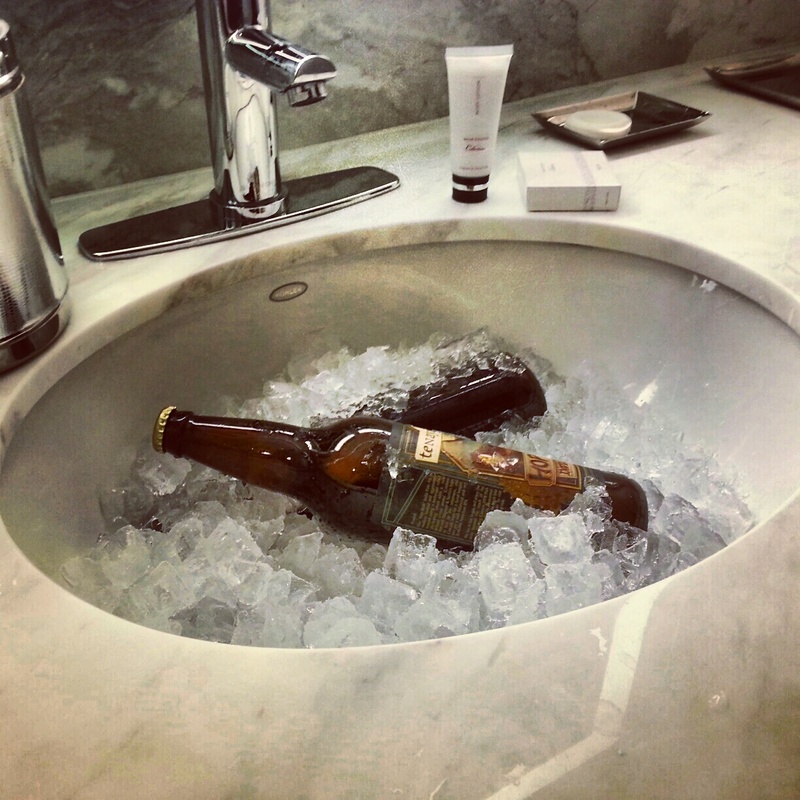 Refrigerator-less hotel rooms can be an issue for beer nerds who need to keep brew cold. But thankfully it’s an issue that is easily resolved. First, call the hotel’s guest-services line and ask them if they have mini refrigerators that they can send to guests’ rooms. If so, ask if they charge for use of the machines. Some hotels will send up refrigerators for free, but others—I’m looking at you MGM Grand in Vegas, you cheap fuckers—charge fees. Just fill up the sink or tub with ice and then pack it with as much beer as you can. Of course, if your sink is full of beer you won’t be able to use it to wash your hands after you take a piss. But that’s a minor price to pay for frosty brew—and you can always wash your hands in the bathtub or shower. I’ve also filled up my hotel trash bin at the ice machine. Depending on the size and porosity of the bin, it’s a solid option that won’t keep you from washing yourself. Yeah, that would certainly work too. But the sink is probably cleaner than a trash bin. If you’re pouring your beer into a glass the cleanliness of the ice container might not matter. But if you’re drinking from cans or something, you may not want them soaking in dirty water.